Gucci is heading into the eighth year of its makeover, just as China’s slowdown puts the luxury business under pressure. 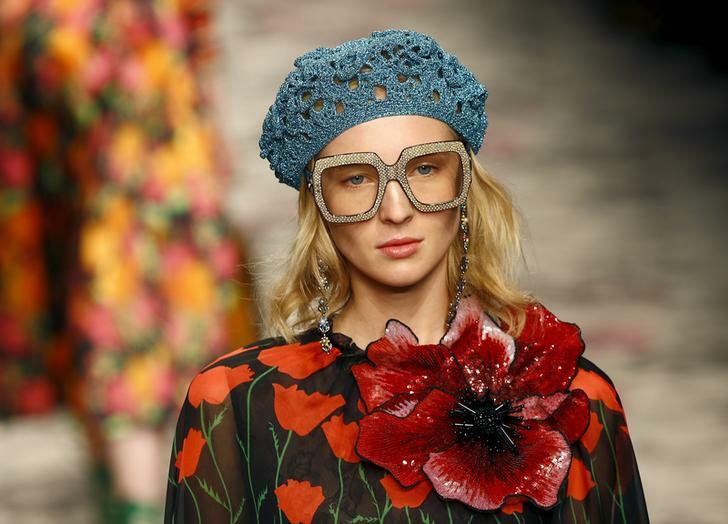 Parent company Kering has picked a difficult time to bring in new management duo Marco Bizzarri and Alessandro Michele. Resuscitating the group’s most important brand could take longer than expected. The Italian label has been in turnaround mode since 2009, when former CEO Patrizio di Marco – who was ousted in December 2014 – said it had become overexposed. Gucci accounts for almost two-thirds of Kering’s overall recurring operating income. The brand is bullish about new Creative Director Michele’s offerings. And it has the talented Bizzarri as chief executive. He almost tripled Bottega Veneta’s revenue to 1.1 billion euros during his five years in charge of the leather goods brand, which is also owned by Kering. But that was a better time to be selling 2,000-euro handbags. Global sales of personal luxury goods grew 13 percent in 2010 and 10 percent in 2011, Bain research shows. That slowed to 1 to 2 percent this year and is forecast to remain subdued until 2017. Much of Gucci’s revenue growth in the last decade has come from opening new shops. Its directly operated store count ballooned from 233 in 2007 to 505 in 2014. In today’s more austere environment, the company has less wiggle room to boost its top line this way. Like all luxury brands, Gucci is under pressure in Asia. It makes close to half its revenue in the region, including Japan. The label has a lot of stores in China – its website shows 62 addresses in the mainland, 11 in Hong Kong and five in Macau – where sales have been slowing dramatically. That is a problem now that Chinese shoppers are making 70 percent of their luxury purchases abroad. So far, positive noises from fashion circles have yet to filter through to the stock market. As of Jan. 4, Kering’s shares were trading at a 15 percent discount to nearest rival LVMH on a forward-earnings multiple. The group’s shares are down 2.5 percent since the start of 2015, compared to an 8 percent jump at LVMH. It will take several quarters of positive growth for investors to back Gucci’s turnaround. They may have to wait another year. Paragraph five of this article has been corrected to show Gucci had 233 directly operated stores in 2007, not 111 as previously stated. A model presents a creation from the Gucci's Spring/Summer 2016 collection during Milan Fashion Week in Italy September 23, 2015.